Zippy little sports car for a great value! I bought this car used 4 years ago at 50k miles and have since put on an additional 80+k miles. It is a great drive, though the touring version is low to the ground and a little stiff but it is awesome if you love sports cars! I certainly do. I have had to replace the battery once and the rubber trim on the undercarriage takes a beating if you do a lot of freeway driving. Overall, I highly recommend it. That it's reliable and that I enjoy it very much. I bought it at 18 years old and I've very grateful for it. What I love about my car is that it's so fun to drive. It's a small sports car and I feel happy driving it anywhere I go. The downside of my car is that it's only a two person capacity. I also bought it automatic so in the future I will make sure to buy a manual car. It is very reliable and actually very comfortable. My 350z runs great and I have had no major engine problems. I love the looks of it and the convertible top is awesome. . It is also a very fast sports car which I love. 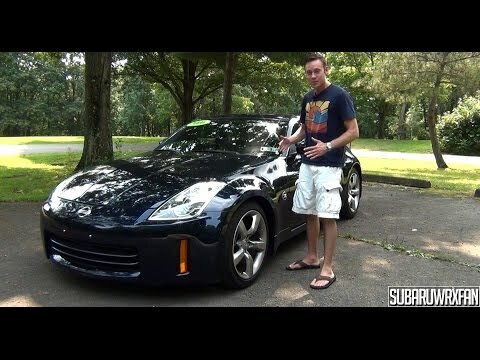 NISSAN 350Z LONG TERM REVIEW!